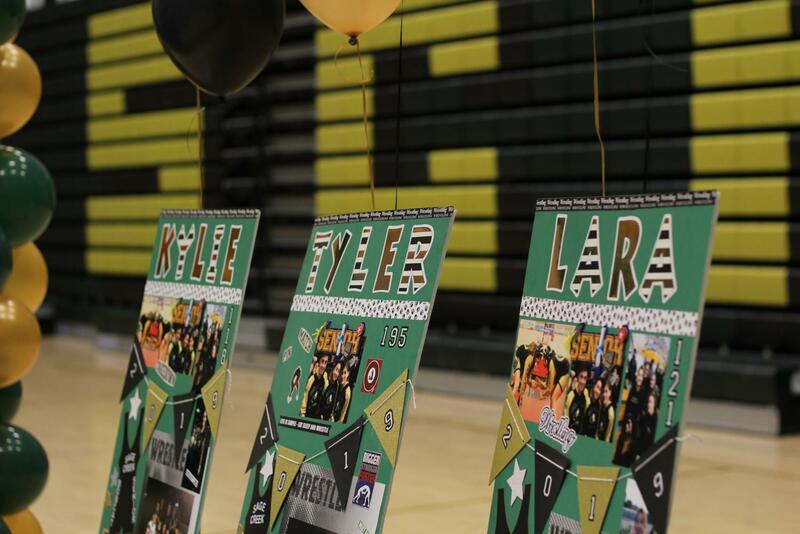 Boards are shown on a table with memories of the senior wrestlers from their time on the team. Last weeks dual was the last time that the seniors on the wrestling team would match up on that mat. 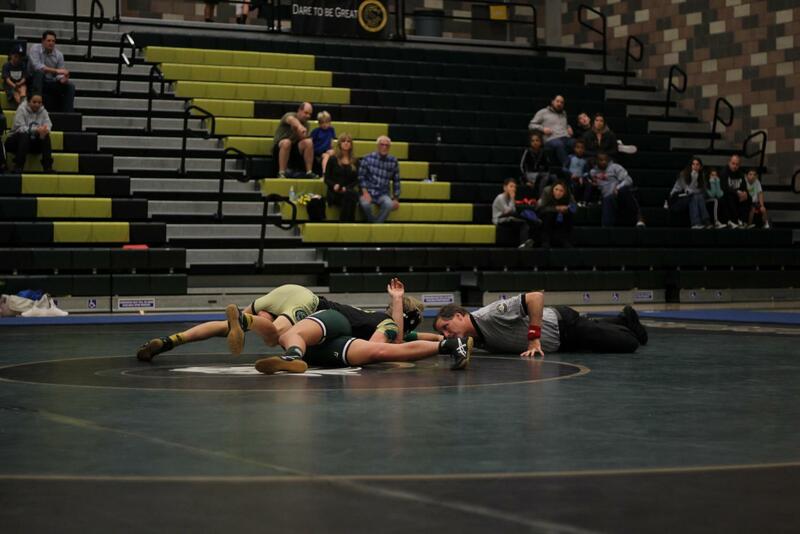 Freshman Peter Rubin holds his opponent down on the mat in the Oceanside dual. He would later win the match by a pin. Senior Scott Anderson finds an open lane through the court to drive up for an easy layup. 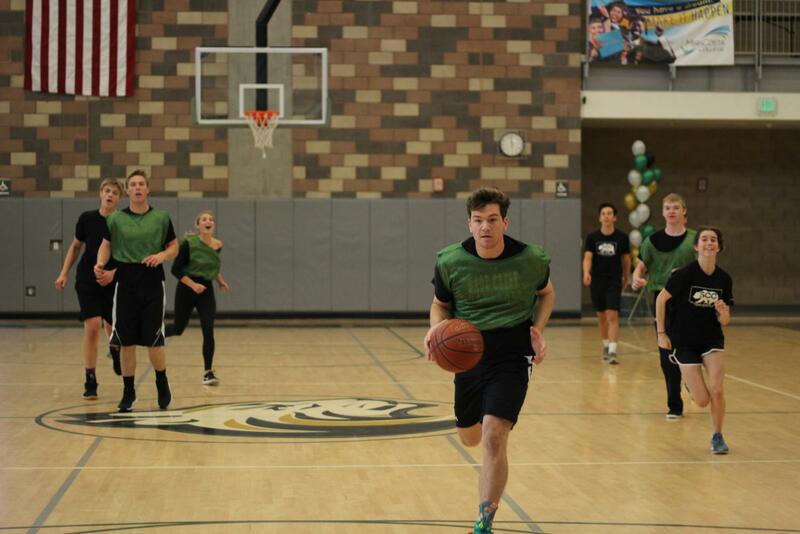 His team would win the game and advance to the championships against the teachers. Black paint is filling the gaps in the characters on the ceramic plate. 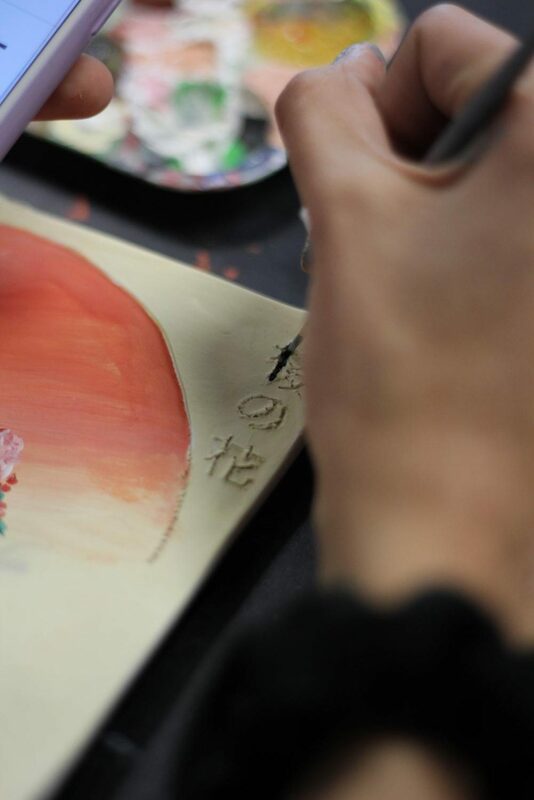 Senior Sammie Amezcua was working on replicating a painting onto a clay plate in 3D Design.